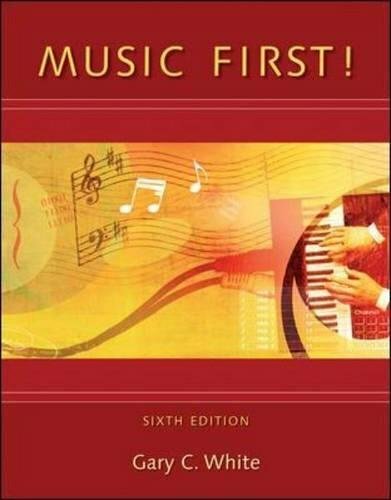 Based on tested methods used by the author during many years of teaching, Music First! takes a step-by-step approach to the fundamentals of music theory and basic composition, engaging students through a combination of explanation and interaction. Students learn cumulatively as they progress through the book. This popular "learn-by-doing" approach reinforces theoretical principles through practice and enlivens any Fundamentals course.